Blaine County Fifth District Court Judge Robert J. Elgee has disqualified himself as presiding judge in a second-degree murder case following a motion for disqualification filed on June 30 by the Blaine County Prosecuting Attorney’s Office. The case against Keith Eric Blankenship has now been assigned to Fifth District Court Judge Jonathan P. Brody, who normally presides in Minidoka County. Brody has scheduled a “scheduling conference” regarding the case for 1:15 p.m. on Tuesday, July 15. No reason for the Elgee disqualification was stated in the motion filed by the office of Prosecuting Attorney Jim Thomas. According to Idaho judiciary rules, as formulated by the Idaho Supreme Court, either the plaintiff or the defense can disqualify one district court judge without stating a reason. Thomas did not respond to an email from the Idaho Mountain Express by press deadline Thursday asking for an explanation for the disqualification motion. Blankenship, 49, has been indicted by a Blaine County grand jury on a second-degree murder charge in the death Hailey resident Stephen Michael Romanchuk, 47, at Blankenship’s residence on Deer Creek Road north of Hailey on Jan. 15. Romanchuk’s body was found buried in a pile of leaves on May 15, following an admission by Blankenship the previous day that he had killed Romanchuk, claiming that he had done it in self-defense. 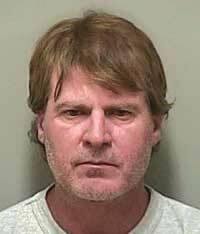 Romanchuk remains incarcerated in the Blaine County jail on $500,000 bond. He is represented by Hailey attorney Keith Roark, who was appointed by the court as public defender.